Chances are, at some point or another, that tone has come out of your children’s mouths. You know the one. It’s the whine that grates on your nerves, making you want to pull your head inside your shirt, cover your ears with your hands, or leave. 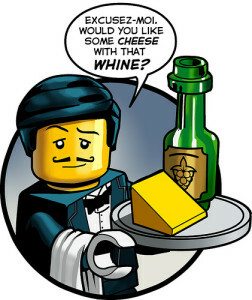 If you don’t deal with the whine, it just gets longer and louder and more, well, whiny. While you may find yourself wanting to walk outside and scream yourself, there are a few easy tips to keep gentle parents gentle at these times. Define the cause. If the whining isn’t about us, what exactly is it about? That is the question of your day. You can’t begin to solve a problem if you don’t know what the problem is. Observe the situation. Think about what may be causing this seemingly annoying behavior, and set about making some changes. I know for my kids, whining signals that they are tired. We need to slow down, cut out some things, go for some quiet, easygoing activities. Connect with your kids. Yes, your children are whining and the last thing you may feel like is being around them, but when your children are exhibiting behaviors such as this, it’s a cry for help. They need you. Take a deep breath. Remember how much you love your children, and be there for them. Perhaps doing something with your children will be enough to break them out of their whining ways. Actively listen. Everyone has bad days sometimes, and often we just need to have someone listen to us on those days. 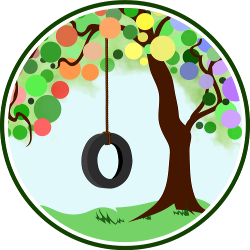 This is a great time to practice active listening so that your children understand that you are there for them and that you really are listening. Use play and humor. Try bringing a little levity to the situation by playing or using humor. When our children’s voices begin to take on that whining tinge, my husband has a difficult time understanding them. His go-to phrase is “Hmmm. I couldn’t really understand what you said, but it kind of sounded like, ‘Daddy, you are the greatest! '” It hasn’t failed him yet. They will either laugh or take a deep breath to speak clearly. Take control of your actions and words. As much as the whining may be driving us to irritation, we are still in control of our own actions. We get to choose how we act or react. Remember compassion. At the end of the day, think about the relationship you have with your kids. Every parent/child relationship is just that — a relationship. Remember to have compassion, both for your children and for yourself.